Jan Zahradil (ECR, Czech Republic), is Vice Chairman of the European Parliament’s Committee on International Trade (INTA) and President of the Alliance of Conservatives and Reformists in Europe (ACRE). 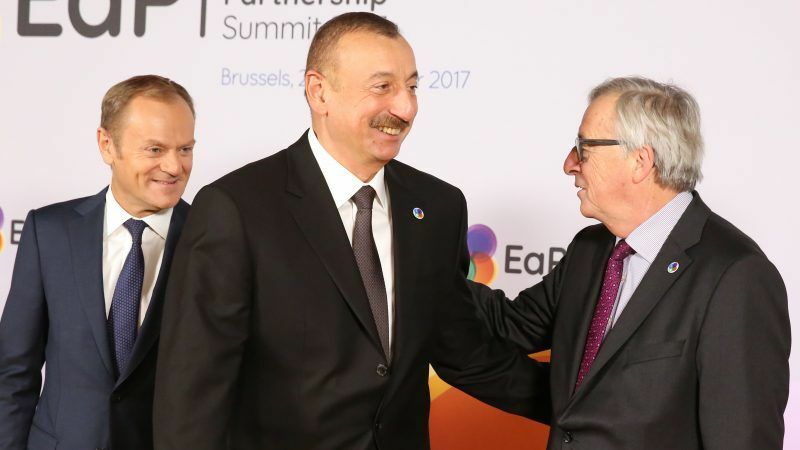 Past strains on EU-Azerbaijan relations have caused the small Eurasian nation to be neglected as a potential stable and reliable EU partner, but that time has come to an end. Its strategic yet precarious geopolitical location and situation are such that Azerbaijan deserves EU support, especially in light of growing tensions with Russia and Iran. Recent events show a move towards fostering stronger relations with Azerbaijan. First there was the Azerbaijan-EU Cooperation Council meeting held in Baku in February. Then, there was a fruitful and positive EU-Azerbaijan Parliamentary Cooperation Committee meeting in early May. Now the Alliance of Conservatives and Reformists in Europe is organising a large-scale international conference in the country’s capital where it will focus on connectivity, infrastructure and energy issues, featuring several renowned speakers— the first of its kind to be organised by a pan-European political party. Interestingly and perhaps symbolically, the event comes only weeks after the country celebrated the 100th anniversary of the establishment of the Democratic Republic of Azerbaijan, which marked its birth as the first genuine parliamentary democracy of the Muslim world. Though the Republic only lasted two years before being destroyed by the Soviet Union, its imprint has always played an indispensable role in the country’s modern history. However, Azerbaijan’s geopolitical situation is clearly very delicate. Its relationship with Russia has been strained by increasingly aggressive Russian behaviour aiming to grow the country’s influence over ex-territories. Any attempt by Azerbaijan to strengthen its ties with the EU is seen by Russia as undermining its national interest. Russian strong-arm tactics are alive and well in the region. For instance, it is well-known that the resolution to the long-standing Nagorno-Karabakh conflict lies, to a large extent, in the hands of the Russians. Elsewhere in the Eastern neighbourhood, in Georgia and Ukraine, Russia has successfully taken a “divide and conquer” approach, creating lasting “frozen” conflicts. The country also uses widely-known tools to undermine Azerbaijan’s global reputation — an arsenal comprising media campaigns, fake news, hybrid info-wars, so-called NGOs which are, in fact, financed through secret channels, and so on. This is proof that the more independent Azerbaijan’s foreign policy becomes, the more irritated Russia gets. Actions such as Azerbaijan’s participation in the Chinese-led One Belt and Road initiative without Russian involvement, direct energy contracts with the EU and USA, and partial participation in some NATO operations are all unacceptable to Moscow. So, to push Azerbaijan out of the EU sphere of interests would be a fatal misreading of the small country’s geopolitical realities and would mark yet another victory for Russian pressure. Relations with Iran are no easier. Currently, about 30 million ethnic Azeris are living in Iran, but are deprived of basic human rights including the right to use their native language. Azerbaijan’s policy towards Iran is strictly neutral, with them preferring not to intervene in Iranian internal affairs. For its part, Iran is afraid of the potential of its Azeri diaspora to call for a more secular and tolerant regime. The Mullah’s dictatorship looks suspiciously upon Azerbaijan, which despite being a predominantly Muslim country, is strictly secular. Iran therefore believes it should gradually try to influence Azerbaijan to adopt a more traditional Islamic way of life, which would, of course, be contrary to the country’s modern history. With fundamentalist Iran representing the foremost ‘anti-Western’ power in the region, the West — including the EU— should focus on preserving Azerbaijan’s status as a positive example of a secular Muslim nation. Azerbaijan, and most notably Baku, is also becoming an increasingly important hub for international transport and tourism, and of even greater significance is its growing role in the energy sector, where it is challenging both Russia and Iran. It stands at a fault line of a major competition for resources between East and West; it is the starting point for the critical East-West energy corridor and its oil and gas pipelines supply neighbouring countries and other further-reaching nations via BTC and BTE routes. Furthermore, the geopolitically crucial SGC (Southern Gas Corridor) project will open up another source of energy for Europe and will help diversify its energy supply, especially for Central and Eastern Europe. In simple terms, the strategic geopolitical importance of securing Azerbaijan as a reliable and stable partner is one that the EU cannot ignore. It should be paid due attention and given due support. Short-sighted, one-sided, one-issue resolutions must be replaced with more long-term strategic partnerships based on proper analysis of the geopolitical context and priorities. I have no doubt that Azerbaijan is ready for this, and I believe and hope that Europe is ready as well. “We learned in 2014, when Azerbaijani authorities closed our bureau without regard to law or due process, that we, and all independent media, are a target,” RFE/RL President Thomas Kent said in a statement on June 5. Read more here https://www.rferl.org/a/azerbaijan-rferl-blasts-website-ban-ruling/29275053.html. There are many reports of Baku paying off EU officials. Azerbaijani corruption and influence peddling is the norm as reported by the Organized Crime and Corruption Reporting Project (occrp.org). There are several leading articles on that website. Russia is not creating negative PR for Azerbaijan, nor is anybody else. Azerbaijan’s authoritarianism is establishing its negative global reputation! So, we are to believe that unless Azerbaijan is engaged as a deserving EU partner, Putin’s Russia will sweep in and take over the Southern Caucasus? Sorry, too late! Russia can at any time turn the Southern Caucasus on its head. It’s impressive how hydrocarbons and its transport can trump reality!